The Union Finance Minister Piyush Goyal in the interim budget 2019 stated that India has received massive foreign direct investment worth USD 239 billion in the last five years. The sectors which received maximum foreign inflows include services, computer software and hardware, telecommunications, trading, construction, automobile, and power. Mauritius, Singapore, Netherlands, the US and Japan were the top source of FDI’s for India. The Union Finance Minister Piyush Goyal announced the Pradhan Mantri Shram Yogi Mandhan scheme in the interim budget 2019 for workers in the unorganised sector. Under the scheme, an assured monthly pension of Rs 3,000 per month will be provided to workers in the unorganised sector after 60 years of age. To avail of the scheme, workers will have to contribute a minimal Rs 100 month per month. The scheme is expected to benefit 10 crore workers. The interim budget 2019 has announced a farm income support scheme PM Kisan Samman Nidhi (PM-KISAN) which aims to address unrest among cultivators who have suffered due to adverse weather and weak prices. According to it, the Centre will transfer Rs 6,000 every year to small and marginal farmers. The scheme will cost Rs 75,000-crore to the exchequer. The enhanced allocation for the Ministry of Home Affairs in the interim Budget 2019 is a reflection of the government’s focus on internal security. The Budgetary allocation for the Ministry of Home Affairs stood at Rs 1,03,927 crore. The allocation of Rs 1,03,927 crore is Rs 10,477 crore more than that for the previous year and the revised estimates for the Ministry of Home Affairs was pegged at Rs 99,034 crore. The Interim Budget 2019 has increased the allocations to the Defence Ministry by 6.87 per cent to Rs 3.18 lakh crore against last year’s allocation of Rs. 2.98 lakh crore. The capital outlay for armed forces is 32.19 per cent of the government’s total capital expenditure of Rs 3,36,293 crore and Rs 1,08,248 crore has been set aside for capital outlay for the year 2019-2020 to purchase new weapons, aircraft, warships and other military hardware. IPS officer Rishi Kumar Shukla has been appointed as the chief of the Central Bureau of Investigation (CBI) for a fixed tenure of two years. Rishi Kumar Shukla is currently serving as the chairman of Madhya Pradesh Police Housing Corporation in Bhopal. 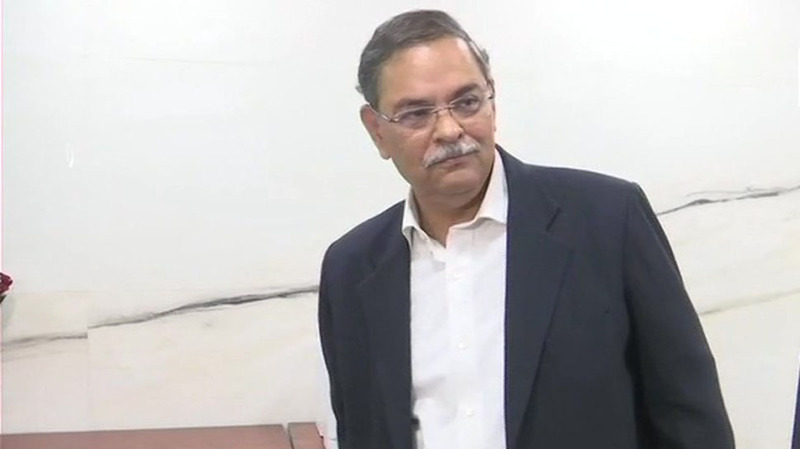 The appointment of the Rishi Kumar Shukla was approved by the Appointments Committee of the cabinet based on the recommendation of the selection committee headed by the Prime Minister. World Wetlands Day was celebrated on February 2nd with the theme of “Wetlands and Climate Change”. The World Wetlands Day aims to bring attention towards the protection of the fragile wetlands which are threatened by human activity. The rate of disappearance of Wetlands is 1% which is at a higher rate than deforestation. The day is celebrated to commemorate the signing of the Convention on Wetlands, called the Ramsar Convention at the Iranian city of Ramsar on the shores of the Caspian Sea. The Indian Space Research Organisation (ISRO) would be launching its latest communication satellite GSAT-31, aboard Ariane-5 (VA 247) on February 6, 2019 from French Guiana. Ariane-5 is the launch vehicle of the European launch services provider Arianespace. In its first mission on 2019, Arianespace would be launching two telecommunications satellites (Saudi Geostationary Satellite 1-Hellas Sat & GSAT-31) with Ariane 5. 1. What is the foreign direct investment received by India in last five years? 2. How much more budget has been allocated to Ministry of Home Affairs this year than previous year? 3. As per PM Kisan Samman Nidhi (PM-KISAN), the Centre will transfer Rs. ________ every year to small and marginal farmers? 4. What is the Interim Budget 2019 allocated to the Defence Ministry? 5. Who has been appointed as the chief of the Central Bureau of Investigation (CBI)? 6. On which day World Wetlands Day is celebrated? 7. Which satellite is being launched along with GSAT-31, aboard Ariana-5?